Dust might be a fact of life, but that doesn’t mean you have to sleep with it. And you certainly don’t want to sleep with hordes of dust mites, which are nearly microscopic creatures that live in and around dust in the home. These creatures feed on flakes of dead skin from animals and humans, and because other types of mites prey on them, they attract even more allergens to your space. You can research dust mites to find out more or check out up-close-and-personal photos online, but for most people, the buck stops at “feed on flakes of dead skin.” Whether you just want a cleaner bed or you’re looking to cut down on allergy and asthma issues, choosing the right mattress and caring for it is an important step. Numerous studies point to the mattress as the filthiest thing in the bedroom, and traditional mattresses accumulate all kinds of dirt and particles through the years. Some claim that pounds of allergens accumulate over the years, and the exact amount of dirt in your bed is less important than the fact that you sleep on it for hours. 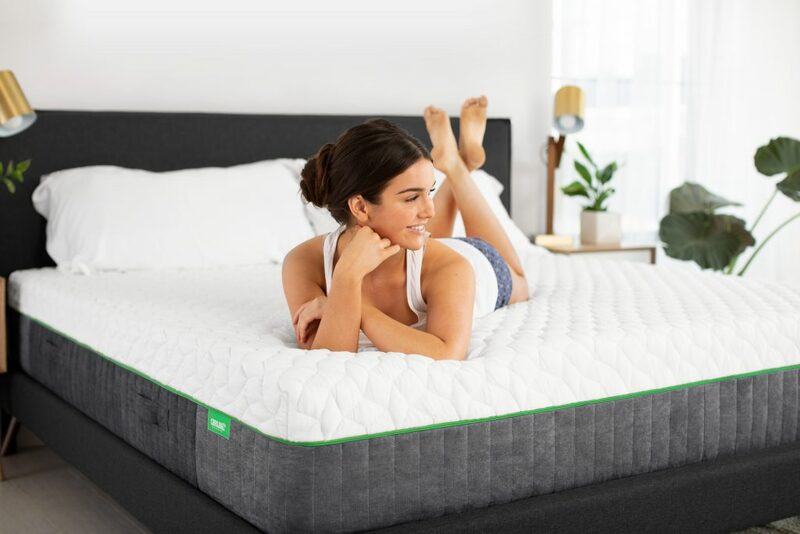 On a traditional mattress, the act of rolling or even sitting up can shake some of those particles lose, causing them to become airborne and contribute to respiratory issues. Aside from burning your bed to the ground, what can you do to combat dust and mite infestation? Luckily, a combination of the right products and a bit of care lets you address the issue without dramatic flair (or fire). • Start with a quality mattress that helps prevent the buildup of mites, dirt, and odor. A bamboo mattress, for example, naturally repels mites and keeps them from laying eggs and colonizing your sleep space. Quality bamboo mattresses also keep odors from lingering, providing a clearer feeling for your bedroom. Look for mattresses that are CertiPUR tested to ensure low emissions and long-lasting durability. • Invest in a mattress cover or pad to help keep skin particles, sweat, and dust from reaching the mattress. A machine-washable cover is easy to clean once a month, so particles that get trapped in it can be removed regularly. Look for products you can wash in hot water safely — cold or warm water won’t kill dust mites. • Use a hand vac to clean the top, sides, and any creases of your mattress each time you wash the mattress pad. This removes any particles that might be on the top layer or two of the mattress. If you’re an in-bed snacker, it’s a good idea to repeat this process once a week to catch food crumbs. • Clean any spills or liquids immediately or as soon as possible. Check to see if spills seeped through to the mattress and blot them with a clean, dry cloth to get as much liquid up as possible. Moving quickly keeps spills from migrating to internal mattress layers. Keeping your bed clean and investing in quality bedding products helps you get a better night’s rest and support ongoing health. For someone with allergies or asthma, dust-free bedding is essential to staying healthy. Read more about home care and comfort from Home Talk here.